Excellent natural mountain blossom honey that reveals in the palate an attractive, sweet character with delicate flavor and a medly of flowers. Harvested from the nectar of native plants: wild herbs, thyme, spring heather and many wild flowers growing on the highlands of Mt. Erymanthos in the Peloponnese-southern Greece, far from intensive cultivation, in a pristine ecosystem rich in biodiversity, which is protected by the European Network Natura 2000. 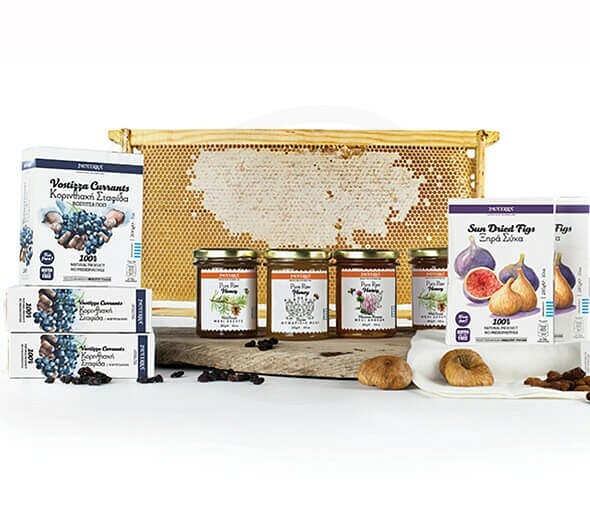 DIOTERRA Pure Raw Honey is 100% natural, unheated, unfiltered, unpasteurized, without preservatives, additives or any mixture with other honey; thus preserving all its nutritional benefits, yeast, enzymes and antioxidants, as well as its antibacterial and antiallergic capacities. Suitable for vegetarians. Gluten-free and GMO-free. Harvested from the nectar of native plants: wild herbs, thyme, spring heather and many wild flowers growing on the highlands of Mt. Erymanthos in the Peloponnese-southern Greece, far from intensive cultivation, in a pristine ecosystem rich in biodiversity, which is protected by the European Network Natura 2000. 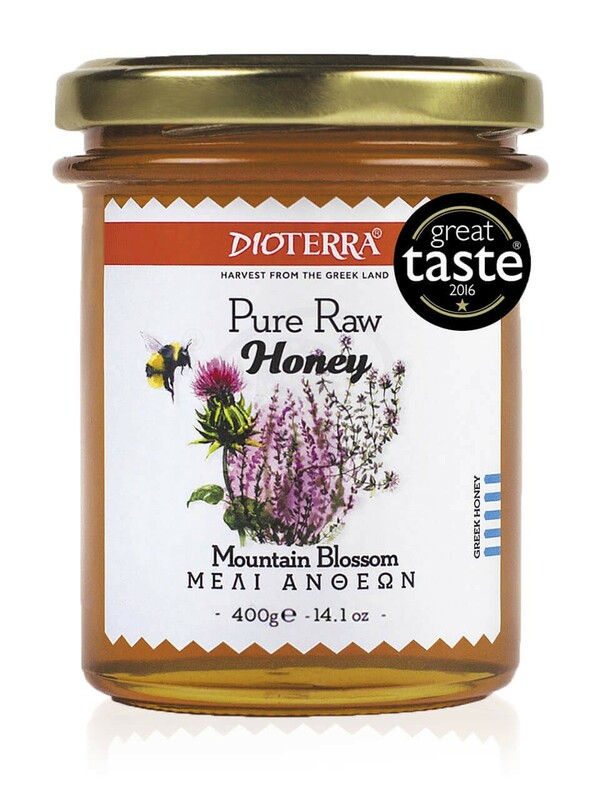 DIOTERRA Pure Raw Honey is 100% natural, unheated, unfiltered, unpasteurized, without preservatives, additives or any mixture with other honey; thus preserving all its nutritional benefits, yeast, enzymes and antioxidants, as well as its antibacterial and antiallergic capacities. Suitable for vegetarians. Gluten-free and GMO-free. Mountain Blossom Honey with the delicate flavor and aroma of a floral bouquet. Harvested from the nectar of native plants growing on the highlands of Mt. Erymanthos in the Peloponnese-southern Greece.